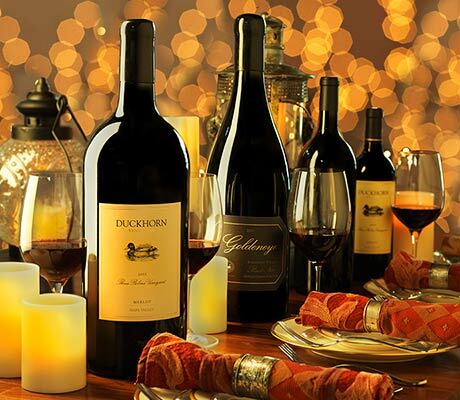 Duckhorn Vineyards was founded in 1976 by Dan and Margaret Duckhorn. After taking a trip to Pomerol in the mid-70’s, and tasting some of the Merlot-influenced “Right-Bank” Bordeaux wines, Dan met up with Ric Forman. Ric was the winemaker at Sterling Vineyards at the time and when he heard that Dan was looking for some Merlot, he gave him a call – “I’ve got a vineyard you have to see”. The two met up, and Ric took Dan up to the Three Palms Vineyard in Calistoga. Besides the gift of introducing Dan to Three Palms Vineyard fruit, Ric also recommended a winemaker by the name of Tom Rinaldi. When Tom rolled up to the winery on a motorcycle looking like “a flower child” as Margaret Duckhorn called him, they had no idea what they were in for. It worked out perfectly because Tom ended up as the Duckhorn winemaker for the next 20 years. The early days of winemaking were simple with only three stainless steel tanks under a big oak tree and hand cranked basket presses. 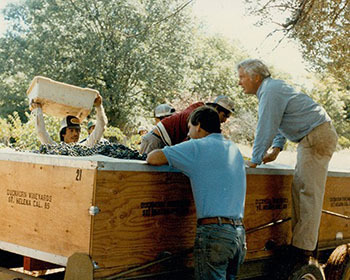 For the first vintage in 1978, they only harvested 28 tons of grapes into apple lug boxes, half Cabernet Sauvignon and half Merlot. Everything was handpicked and sorted extensively. Dan’s trip to France had also introduced him to the Nadalie family who were barrel builders and he decided that brand new French oak was the way to go. Those first few vintages were cellared exclusively in Nadalie coopered barrels. By 1982 Tom and Dan decided that it was time to make Duckhorn’s first white varietal wine, Sauvignon Blanc. The Sauvignon Blanc was an exciting addition for them because it was a brand new wine for them to create. 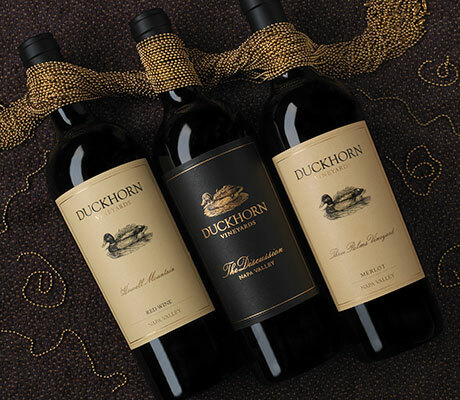 With the expansion of the winemaking program came a need for more fruit, this is when Duckhorn began acquiring some of the properties that are still so important today. 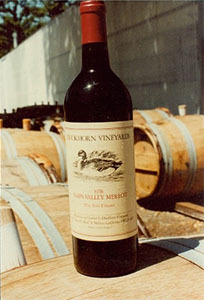 Two of the early vineyards purchased were Patzimaro Vineyard in 1989 and Monitor Ledge Vineyard in 1992. Now, 40 years after being founded Dan’s dream of having his wine served in every city with an NFL team has been realized! I think about our wines from Canvasback in the context of this place where they are from: that they are the result of hard work in this land of extremes, their character defined by the thickness of their skin. When it comes to making muscular, sumptuous Cab, it’s the skin that matters most, as it contains all the flavor, color, and textural bits that make a red wine. And while sugar is important for its role of turning boring old grape juice into a fun alcoholic beverage, we can all agree the yummy, fleshy, dark, brooding flavors; all the blackberry, plummy, dark cherry and spicy goodness of Cab, is coming from those skins. Red Mountain generates very generous grape skin, thanks to its southwest-facing hillside located smack in the warmest part Washington. It is a natural solar panel that scoops up all the heat of afternoon sun. Midsummer daytime temperatures can stay above 100° F for several weeks during June and July, causing the skin of the berry to thicken in resistance to the sun. Consistent winds also engender thick skin development. And that we are in a desert, in nutrient-poor soils, we tend to have small canopies and small clusters, with lots of little berries. It’s all about the skin to juice ratio. How does this translate into flavors in the glass? 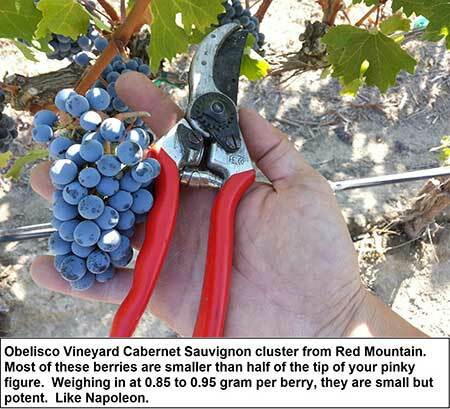 First, one notices the inherent bigness of Red Mountain Cabernets. While the tannins may be fully mature and ripe, there is noticeably high tannin. It gives the sensation of weight and intensity. It can be chewy and assertive on the palate. These thick-skinned cabs make for wines that demand your time, your patience. It takes a year or so in bottle for them to come back together. They start to really hit their stride around year six. At 20-30 years, they are on full afterburn, glowing with refined energy like a hardwood coal in the heart of a bonfire. Slowly is the power of the sun un-packed. The thickened skins can make for formidable wines. Our charge is to take something tough and make it into something beautiful. Think of it like making a rock-solid table from a nice piece of oak. With craftsmanship and raw materials like these, we can make something both enduring and delicious. 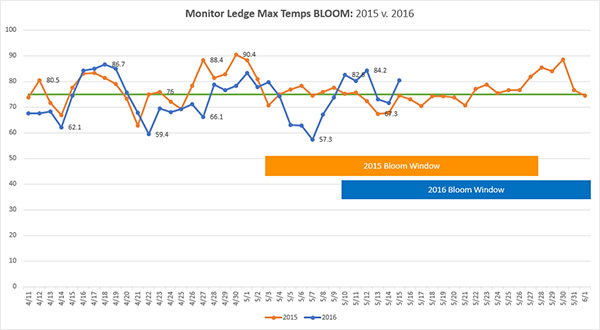 The weather at bloom is very important for the vines and for final wine quality. While we still have a ways to go, the weather so far has been great. 75 degrees is ideal for flowering, and we have been right around that temperature on most days so far. This past weekend I joined Brian Rudin and John Kapranopoulos, our Canvasback Winemaker and Western Sales Manager respectively, at the Taste of Washington event in Seattle. 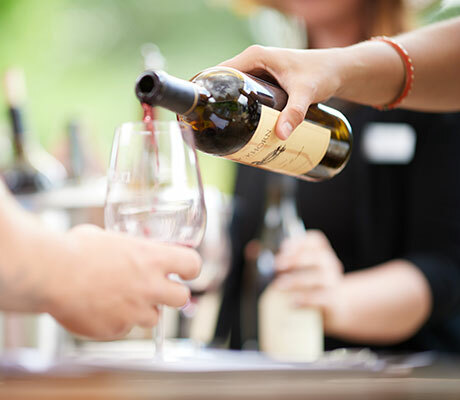 This is an annual celebration of Washington wine, in all its diverse splendor, put on by the Washington State Wine Commission. The Commission is focused on promoting the wine industry at home and abroad, and raises significant amounts of money for education as well. Check out their detailed and well-designed website here, and take a look at their interactive map of AVAs throughout the state. Note how tiny Red Mountain is! We had the opportunity to pour Canvasback wines alongside other great wineries from across the state. 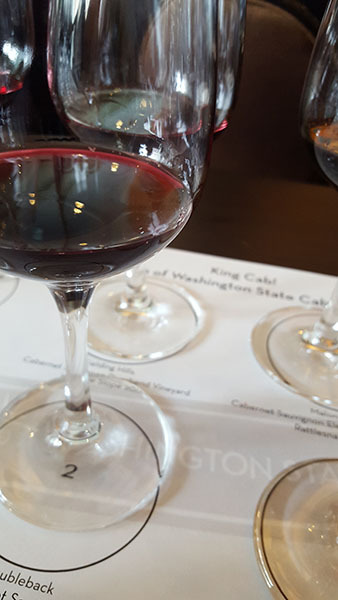 Immediately the quality and diversity of Washington wines was apparent, with great examples of Riesling, Sauvignon Blanc and Semillon blends, the Bordeaux reds, and even rare Portuguese varietals. 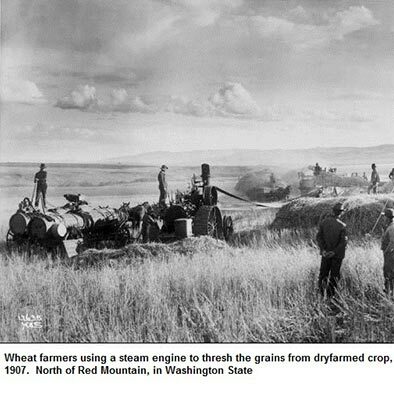 Washington state is a fascinating place. With 50,000 acres planted statewide, it is the second largest state in the union in terms of grape growing. However, to put that in perspective, there are 45,000 acres planted in Napa Valley, 60,000 acres planted in Sonoma County, and a whopping 300,000 acres planted in Bordeaux! Washington is a gem, and has such incredible potential for future growth. I have no doubt its reputation and impact on the world of wine will continue to grow. 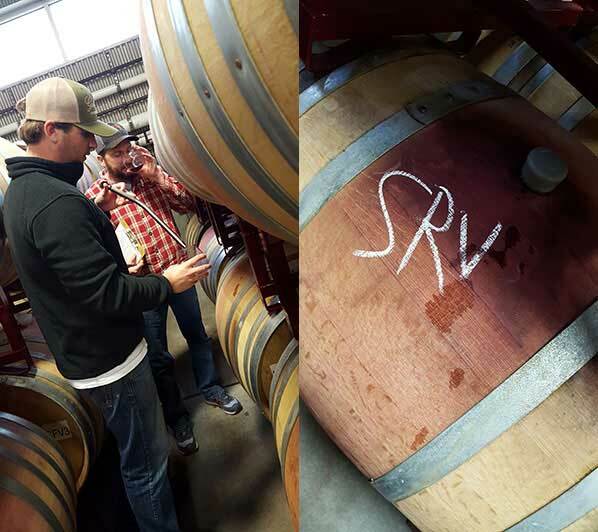 After having a chance to taste through many Cabernet Sauvignons from across the state, it was apparent also that Red Mountain is a special place to grow uniquely intense and powerful wines. It was fascinating to note the consistent potency and structure of the wines, regardless of the producer. Brian is (in)famously known for calling it a Grand Cru site, and in my opinion the wines truly support that notion in the Washington context. 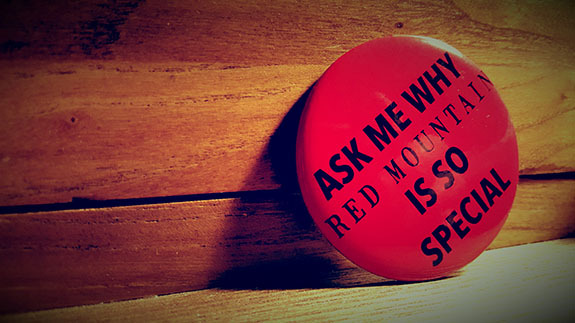 That is not to say that great Cabernet’s aren’t being made across the state, but the distinctiveness of the Red Mountain terroir sets it apart as a special place that can consistently grow great wines. It is springtime in Northern California! The birds are singing, the soil is getting warmer, and there are signs of life everywhere. The budbreak in the vineyards is proceeding in earnest, and we in the winery are starting to think about the growing season, and to plan for next harvest. As mentioned in previous posts, we are finalizing blends and closely monitoring the developing 2015 vintage. On a personal note, I am prepping my garden for this year’s plantings, and harvesting some long lived winter crops. 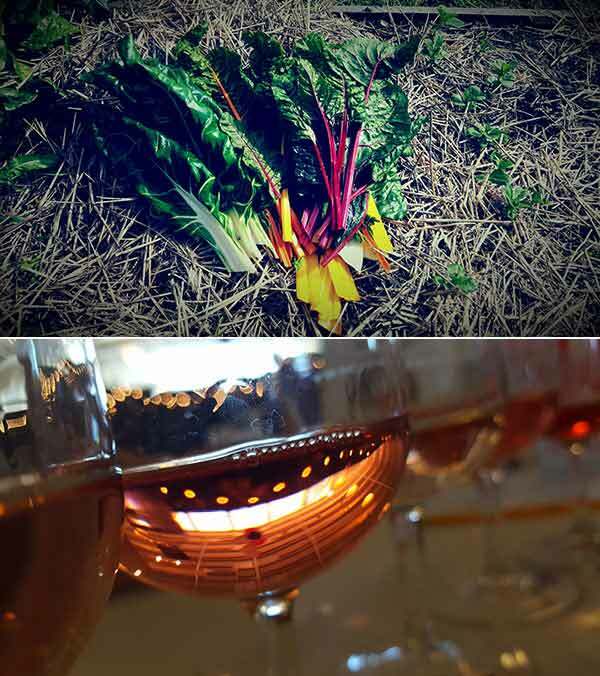 I braised the chard with some home-cured pancetta, garlic, and radicchio, and drank it with the 2015 Paraduxx Rosé, which was fantastic! Don, our Paraduxx winemaker, did a fantastic job making this Rosé, primarily made from hand-picked and whole cluster pressed Syrah. The wine has great acidity and great balance. 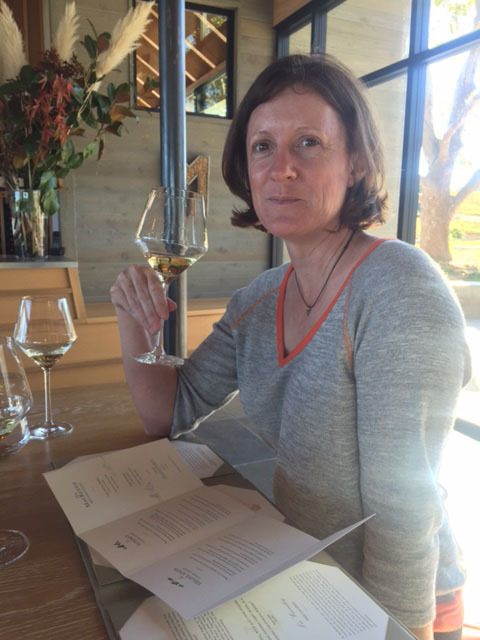 One of the great unsung heroes of Duckhorn Wine Company is our long time employee Belinda Weber. B-Web, as she is fondly nicknamed, has worn many different hats at DWC. Her current role is Director of Digital, Consumer, and Trade Marketing, and she has been a guiding light in nearly every marketing, label and PR decision we've made over the last 17 years. She has brought us into the 21st century by integrating us seamlessly into 'the social media' and creating a great visual experience for our fans and customers online and beyond. All of the beautiful catalogs you receive from us are the result of her terrific work. As hard as she works to make DWC look good in front of the camera and on the table, she works to stay out of the limelight, always working with a quiet humility that is rare in our world. Thanks Belinda for everything you do! 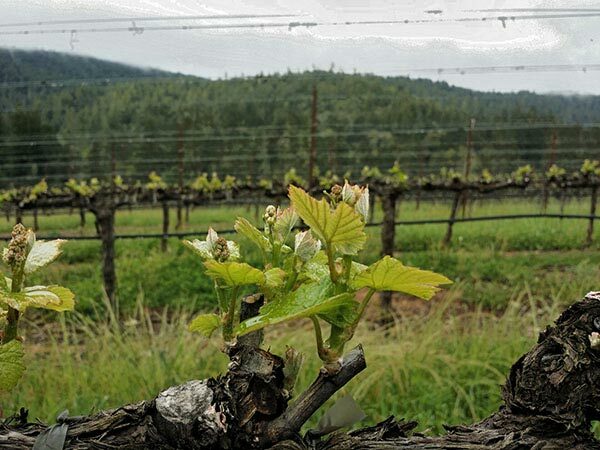 We’re starting to hear reports of budbreak in some of the earliest varieties and areas in the North Coast. The warm weather we’ve experienced through February has definitely helped to push this along. Budbreak is extremely exciting as it signals the transition from the dormant season to the growing season. Once there is green plant tissue in the field, all sorts of activities begin to take place. The Farming Team will begin cultivation, which removes the cover crop and preserves soil moisture for the grape vines. We will also begin shoot thinning soon, during which we remove any extra shoots that will not bear fruit. Very soon we will also be able to get a look at how many clusters are on each shoot and thus get an idea of the overall crop size. There is a long way to go from here to harvest, but from this point on, every day counts! 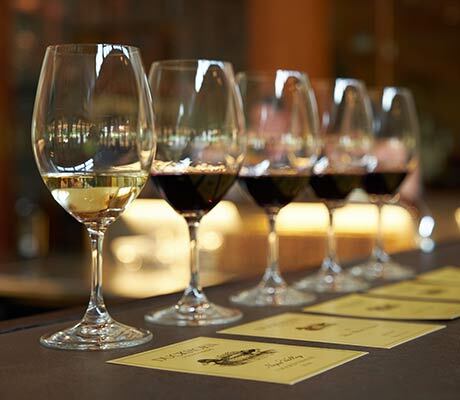 This is the time of year when the winemaker focuses on finalizing blends from prior vintages. This involves endless tasting, mixing, spreadsheets, and excitement about the emerging wines. It takes quite a bit of work to take one’s various barrel lots and put together a seamless and balanced blend that represents the best of what a particular vineyard could do in a certain vintage. This is especially true up at Goldeneye, our Anderson Valley winery, where we have the ability to ferment and age so many different vineyard blocks separately. It is true that it creates quite a bit of complexity, but it gives our winemaking team the ability to make incredibly fine blending calls. This complexity oftens means that Michael Fay and Michael Accurso, our Goldeneye winemaker and assistant winemaker, respectively, will taste many iterations of each potential vineyard designated blend, each with minute volume differences but impactful flavor differences in blend. When all this work is done, and each vineyard designate blend is complete, the final phase of selection is to taste individual barrels from each blend component, to make sure that they are the best for the blend. It is amazing to me that one can taste very significant differences between wines aged in the ‘same’ new French oak barrel, meaning from the same cooper, with oak from the same forest or grain tightness, and with the same toast level. Once the final barrels are selected, they are racked into tank and blended! We’re currently experiencing the first really pleasant weather of the year – all the more pleasant knowing that we have received above-average rainfall, and are likely to receive more in the near future. These breaks in the weather let us get important work in the field done, which as I mentioned in a previous post, is primarily pruning this time of the year. This morning I had the distinct pleasure of being a judge in the 15th annual Napa Valley Grapegrowers Pruning Contest, held at a vineyard in Yountville just down the street from our Paraduxx Winery. 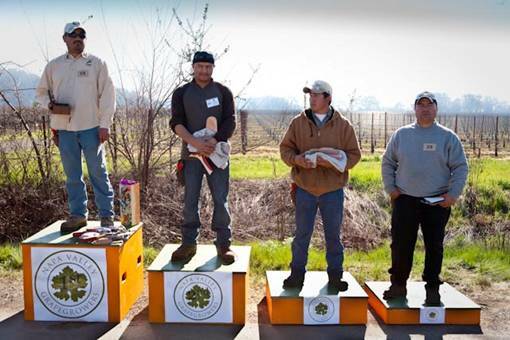 It is only fitting that we have a contest which rewards the best pruners in the valley as this is such an important cultural activity, and one that many of our Farmworkers take pride in. To prune quickly is one thing, and to prune well another – to prune well and at a fast pace is the ultimate, and takes many years of practice. Especially here in the North Coast, where quality is king, the experience and skills of our Farmworkers is an integral part of the winemaking process. 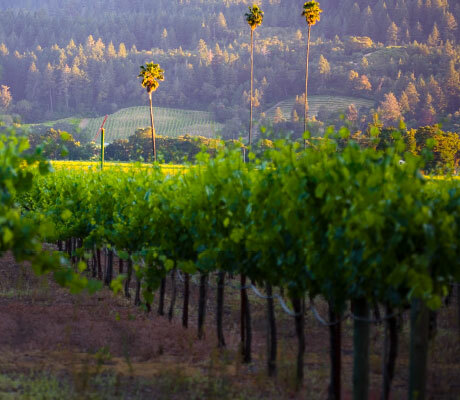 We have the luxury of a very experienced Estate Vineyard Team that works on the Duckhorn Vineyards in Napa, many of whom have been with us for at least eight to ten years. In this time, they’ve gained a valuable understanding of our vineyards and individual blocks and know exactly how to sculpt the plant. Pruning is an art, and the Farmworkers in the North Coast are very talented artists.